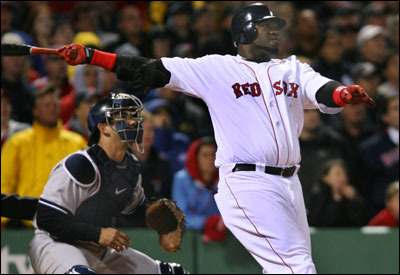 Mike Myers had faced David Ortiz just twice (0 for 2) before their eighth-inning encounter last night, when the Red Sox' impregnable DH came to bat with his team ahead of the Yankees by one run and two runners aboard. ''I faced him when he was a good hitter, not a great hitter," Myers said in advance of the at-bat. Any skilled professional can catch Curt Schilling or Josh Beckett. 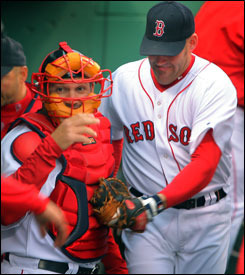 But is Doug Mirabelli the only man on this planet who can catch Tim Wakefield?